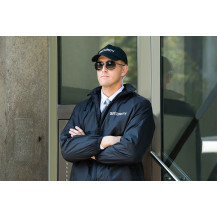 Aspect Security specializes in the delivery of professional Security Officer services to large, highly public environments where exceptional interpersonal skills and superior security knowledge are required. We don’t provide anything off the shelf; instead, each and every solution is custom designed to meet and exceed the needs of each and every unique client within the industries we serve. Our Security Personnel (male/female) of our Company have undergone intense training, both theoretical and piratical by proficient foreign teachers and trainers and are EXPERIENCED “A” GRADE personnel. 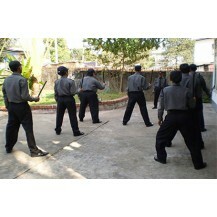 They are proficient in English First Aid Using Metal Detector Control of CCTV CAMERA Traffic Rules / Controlling Traffic Anti Terrorism tactics Fire Fighting Martial Art for Self Defense Our “B” GRADE personnel (male/female) are capable of maintaining security at SHOPS / STORES, CONDOS, FACTORIES, SCHOOLS, CLINICS/ HOSPITALS, CONSTRUCTION SITES/ ESTATES. They are reliable and trust worthy and you will not lose any sleep worrying about security.